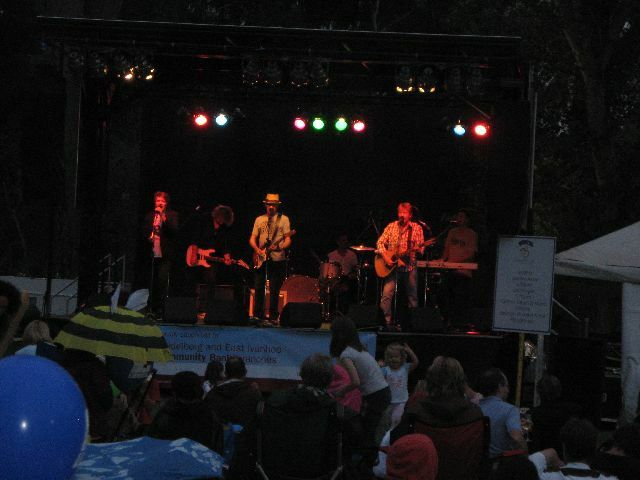 Banyule Festival- wait there’s more! After a Saturday night awash with nostalgia at Twilight Sounds at Sills Bend, I frocked up on Sunday for the annual Heidelberg Historical Society bus tour. You’re likely to find me down at our museum one Sunday a month with my secretary’s hat on. So onto the bus we hopped and off we headed to Ravenswood in East Ivanhoe. 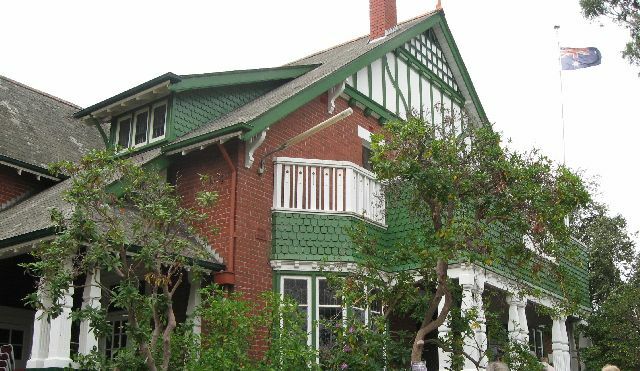 The house was commenced in 1891, at the commencement of the depression and was one of the last boom-style mansions built before everything went pear-shaped. It is a house built for display. It would have been prominent as visitors headed towards Ivanhoe from the city and can still be seen easily from the railway line should you happen to look to the east and up the hill as you’re rattling along. 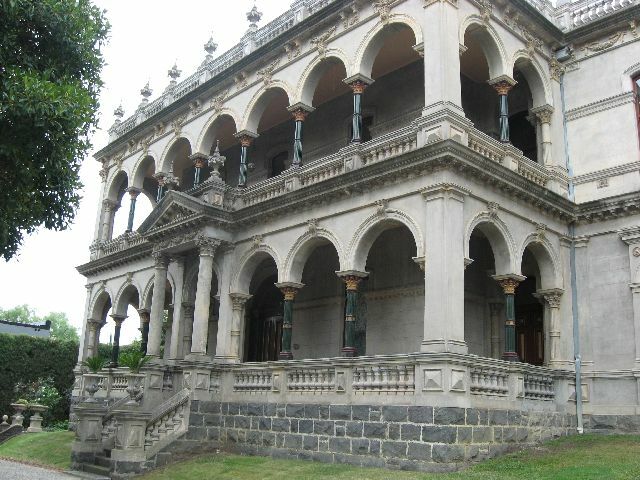 The exterior of the house was built with this prospect in mind, as it is at its most ornate on the south-west side, but rather plain on the other sides (perhaps hoping for future extensions?). The house itself, is not extensive- it has four main rooms and a hallway on the ground floor, with bedrooms upstairs, and utility rooms at the back. A very large ballroom was added in 1895, so obviously the depression did not affect the owner, the financier Robert Kennedy, too much. 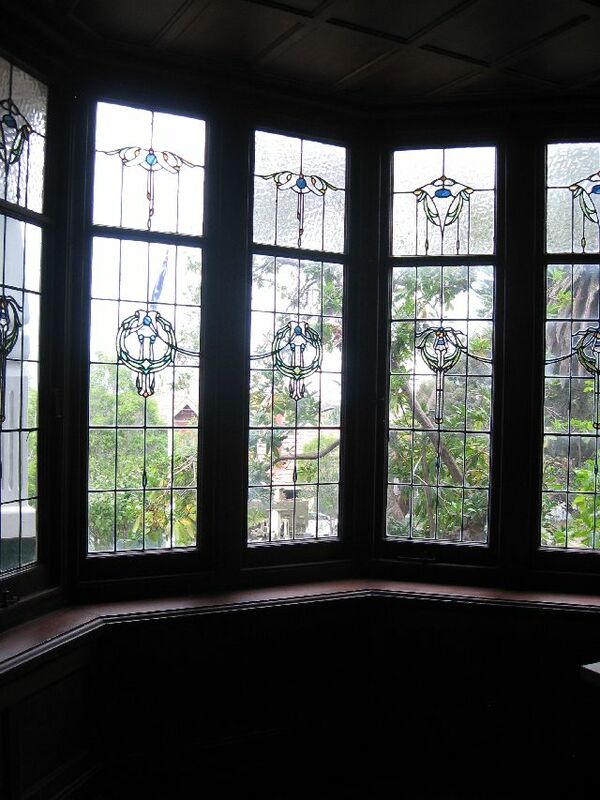 We weren’t able to take photographs inside the house, but the emphasis on display carried through internally as well. Because the house had been used as a number of years as a nursing home, most of the original features were lost, but they were able to establish that paintwork was used ‘creatively’ throughout- lots of marbled paint, fake timberwood and trompe-l’oeil. It had been beautifully renovated- the paintwork was truly beautiful, the carpets thick- and the gardens carefully tended. Then onto the bus again and up to the Ivanhoe RSL which is located in a home originally known as Clarivue (sometimes spelled Clairvue). 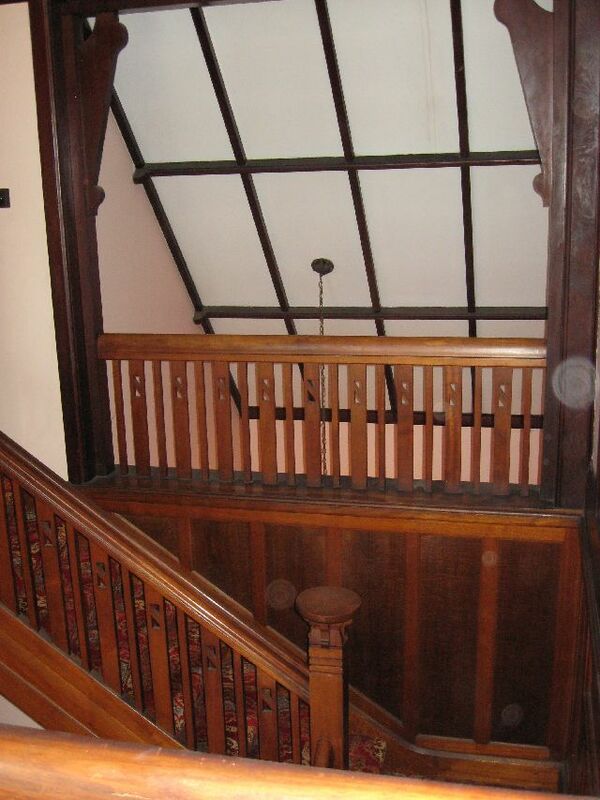 The house was commenced in 1913 and was designed for a timber merchant. As you might expect, this one has real timber throughout, compared with the timber in Ravenswood. 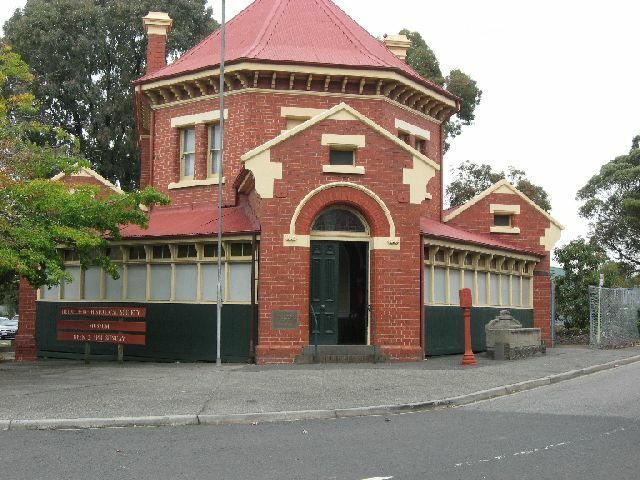 It’s being used as the RSL, so it lacks the loving attention that Ravenswood has been lavished with in recent years. Nonetheless, the windows and woodwork are largely intact. Ah…. but money, money, money. The Ivanhoe RSL does not have pokie machines- what a Faustian pact that is. You can see other RSLs gleaming away with their rendered paintwork, downlights and chrome fittings, purchased with tears and recriminations. Ironically, this house is probably better preserved because it lacks the money to tart it up for short-term gain. And so onto the bus, back to the Old England Hotel (fondly known as the OE) for afternoon tea and our bus tour was over for another year. And with my Secretary’s hat on, thanks to Miles Real Estate and the Old England Hotel, the Ivanhoe RSL and the owners of Ravenswood as well! Last night was Twilight Sounds at Sills Bends. This is an annual event, held at my favourite place in the world- well, Melbourne anyway- Sills Bend by the Yarra in Heidelberg. I’ve written about Sills Bend before. The Yarra Flats were my childhood playground; now as an adult I just love the deep shade of the oak trees, the old fruit trees and the sense of connection with an older Heidelberg. Last night felt particularly nostalgic as Cotton, Keays and Morris were performing. 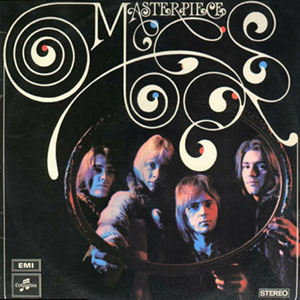 I spent probably two years of my life between 14 and 16 desperately in love with Jim Keays and the Masters Apprentices. Their album was the first full-priced album I’d bought- my pocket money only stretched to K-Tel albums with lurid limegreen and orange psychedelic covers- and every afternoon on the way home from school I wondered if there would be a newsletter from ‘Denise and Di and Mrs G” from the Masters Apprentices Fan Club (it was, let us say, a sporadic publication). They had played at the Scots Church Hall in Burgundy Street for my high school social when I was Form 2 at Banyule High School. I know that ‘real’ historians are not supposed to admit to such sop, but I’ve always been attracted to time-travel stories. 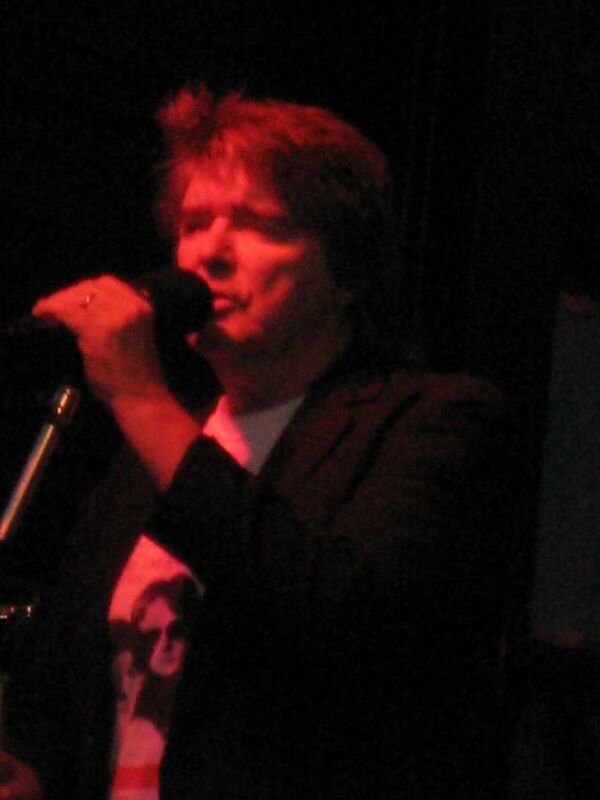 I wish that I could come up behind that fourteen year old girl, screaming and sobbing at Jim Keays’ feet as, wreathed in streamers and poured into black leather pants, he endured what was probably another dreary school gig. They sang their new song, 5.10 man and I bought the single the next week. I wish that I could tell that 14 year old girl that forty years later, she’d be watching this same man. She would still be the same person deep down, but she’d end up doing many of the things she wanted to do. She’d live a suburb or two away; she’d have a career; she’d have children (who would not deign to accompany her to Sills Bend to indulge such nostalgia). She mightn’t know it at the time, but she’d find other people who liked the things she did. She’d do well at school and go to university- yep, she’d STILL be at university forty years later!! She’d fall in love properly and people would fall in love with her. Forty years on, she’d say that she has a very good life. And he, too, would live a life that he probably couldn’t have foreseen on that stage in 1969 and I wonder if he’d say that he has a very good life too. I hope that he would. Anyway a good night, a good gig. And the excitement goes on today too….. I wasn’t going to write this post. I was going to write about my own experience of poetry as a reader, the frustrations of reading a collection of poetry in an online environment etc. etc. But I’ve just been crying as I turn the page on the last poem in The Bee Hut, the collection of Dorothy Porter’s poetry that was completed just before she died in December 2008. I feel so very sad at the thought that this is, literally, the last poem. I’ve been thinking, too, of my friend Dot Mac (everyone knew her that way)- another Dot, my Dot- who also died of breast cancer a few years ago, at much the same age. I still can’t quite believe that my life goes on, day after day, and yet she is not here. 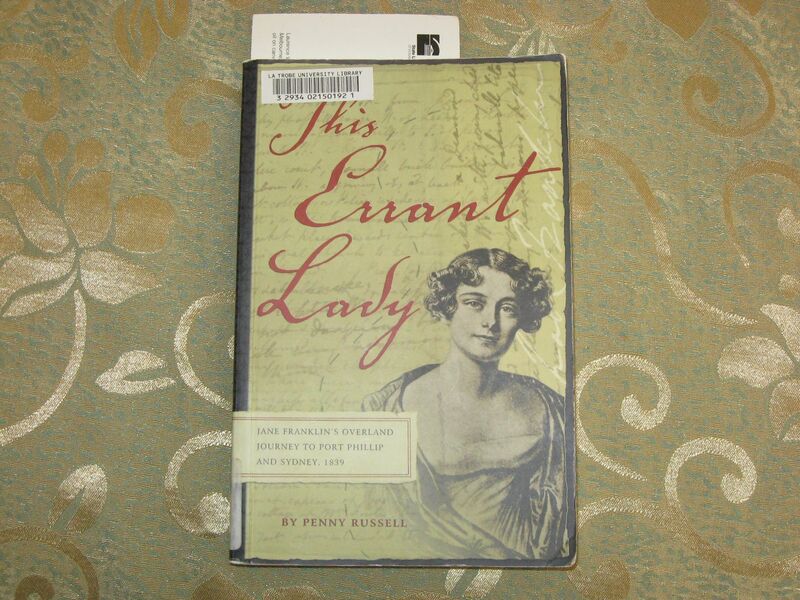 While I was reading this book, I found myself wondering about the interweaving of the poet’s life and her poetry. It seemed to me that the whole book was pervaded by a clearness of vision- a close, intense, way of looking- that had been sharpened by her cancer and confrontation with death. In the final poems there is a closing around and a drawing inwards that I think even someone unaware of Dorothy Porter’s own biography would detect. The book itself is divided into sections, almost like the acts of a play. In this way, it has its own narrative thread, as a collection. There are travel poems- dust-laden poems about Egypt, cold green poems about London; there are theatrical poems written as lyrics for stage performance. There’s a section of poems about illness, reflecting the first bout of cancer years earlier, then there are the final, quiet poems at the end. There’s a sense of movement through the poems as a whole, rather than just one self-contained poem after another. I read this book as part of an online book group that I’m in that focuses on Australian literature-http://groups.yahoo.com/group/AustralianLiterature if you’re interested in joining us. We read and discuss (rather desultorily I must admit) one book a month. This was the first poetry book we have read, and I found it hard to actually comment on it during the process of reading, beyond saying “I liked this bit….” and quoting particular phrases and stanzas. But there’s an artificiality about reading a book over a month like this, and I don’t think it serves poetry well. I think that poetry has to be purchased, rather than borrowed; I think that you need to have it at hand for dipping into, rather than reading straight from cover to cover. I think it needs to be read out loud, rather than read through. It stands on its own two feet: anything that I could add is superfluous. The most powerful presence/is absence. And what a powerful presence this is. We went to see Jersey Boys the other night. Terrific! Although I must say that all of the grey heads in the audience were a bit disconcerting – mind you, I’d be one of them myself if I did not have such an intimate relationship with the dye-bottle. But it really was Baby-Boomers-Big-Night-Out. The Four Seasons were just part of the soundtrack of my childhood and adolescence. They were just THERE. I really had no idea what they looked like- now why was that? We’ve had television all my life (my parents bought one when I was one year old, to watch the Olympic Games) but I don’t remember ever seeing them on television. We sometimes watched the Ed Sullivan show, but I don’t think we watched American Bandstand- we only watched the Australian one. I think I was more aware of what British bands looked like. In fact, I think I assumed that they were black. Or were they the Four Tops? Smallpox had been carried on an American ship of war from Tahiti, where smallpox was prevalent. The ship had touched at New Zealand and in response the Government reprinted this notice from two years earlier. 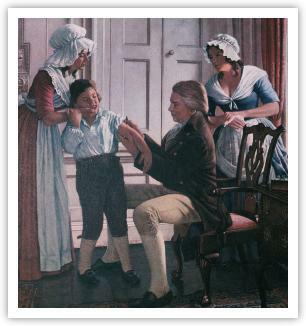 In order to avert the calamities which must necessarily follow if the Small pox be introduced into the Colony, and to keep up a constant supply of Vaccine Lymph, His Excellency the Governor directs it to be notified that children will receive vaccine gratis, if taken to any of the public hospitals, or Colonial Surgeons throughout the colony, every Tuesday at eleven o’clock in the forenoon. But as the operation itself, without any proof of its having taken effect, would be insufficient security to the public mind, His Excellency has been pleased to direct, that a charge of one shilling shall be deposited for every child vaccinated, which sum will be returned on the presentation of the child on the next vaccination day. Interesting to see in this public notice the appeal to the hip-pocket nerve. Bring ’em back next immunization day and we’ll pay you! There’s an idea for Rudd’s health plan and perhaps the Republicans in America might feel more comfortable about this rebate scheme instead of Obama’s health insurance plan. If Nana survives her hip transplant, we’ll pay you! I really don’t have time to comment further- I should be doing other things instead of thinking about scabs and lymphs. 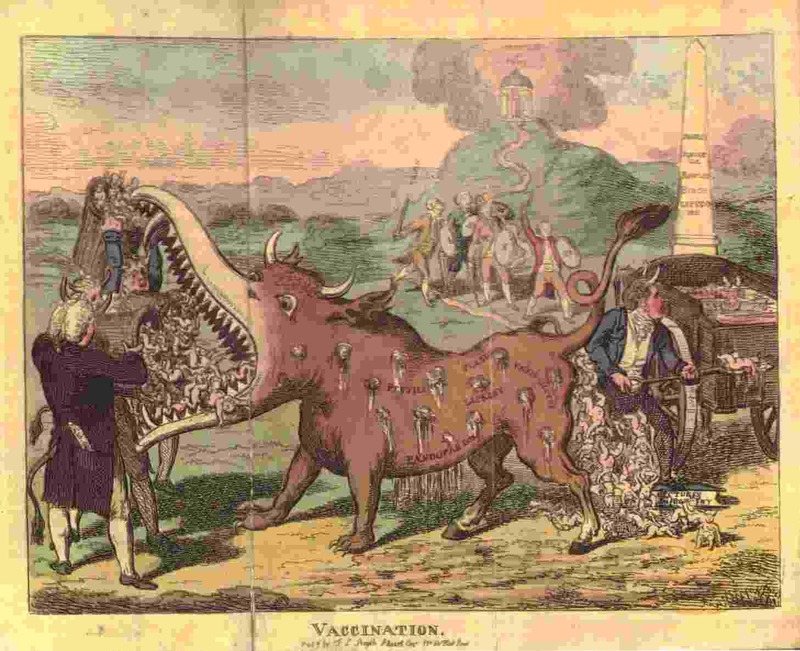 There’s a fascinating article by Michael J Bennett called “Smallpox and Cowpox under the Southern Cross: The Smallpox Epidemic of 1789 and the Advent of Vaccination in Colonial Australia” from the Bulletin of the History of Medicine, 83, 1, Spring 2009. And just to make sure we’re not too relaxed and comfortable as we survey our little dimpled smallpox vaccination scars on our upper arms, I’ll leave you with this.